"TASTE THE FLAVORS OF THE ISLANDS"
We are producers of traditional foods from the island of Jamaica . We cater at Food Festivals, street markets, Fayres and music festivals. providing a fusion of Caribbean delights seasoned to make you taste flavors with a bit of a kick. 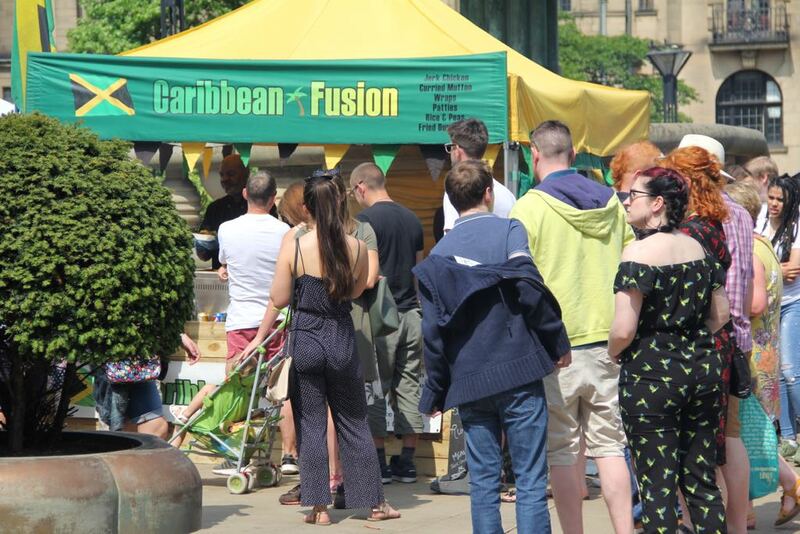 We serve traditional Jamaican Patties,Wraps,Jerk Chicken and Curried Mutton which is slow cooked in tasty spices tender and mouthwatering. so taste the flavors of Caribbean Fusion.